This is one that is great as a main dish AND is great as an appetizer. Either way, it is beyond delicious! Main dish can be served over white rice or egg noddles (I used spirals but egg noodles are good too). As an appetizer, just serve out of the slow cooker on WARM with toothpicks. My daughter tried these as I was finishing them up. She ate 8 of them with a fork before I could tell her I needed pictures first. The day after, and she was heating some up for lunch. She said I needed to make them more often! 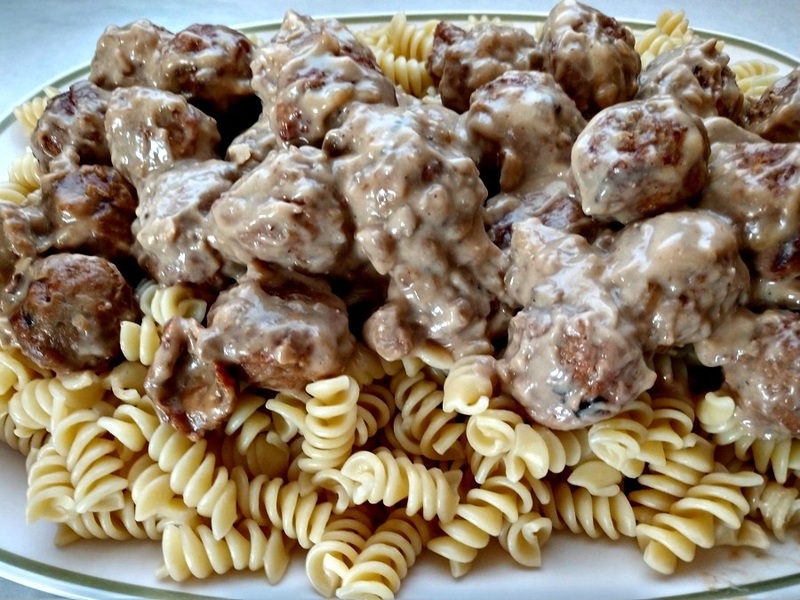 Crock-Pot Swedish Meatballs serve for dinner or as an appetizer at a party! Either way your family and friends will love the taste! Mix the remaining ingredients in a bowl. 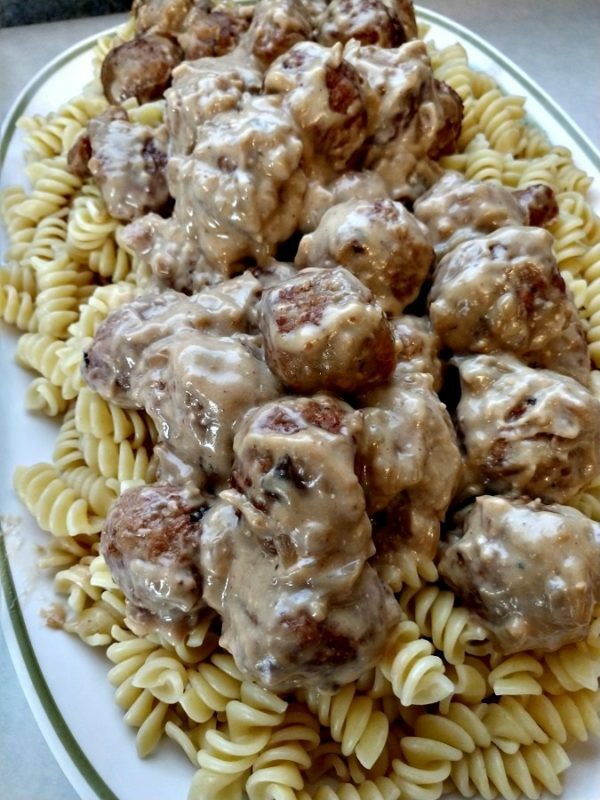 Pour this liquid over the meatballs. Serve with toothpicks as a snack or over cooked egg noodles as part of a meal. Enjoy!